We know people often purchase exotic pets because they're animal lovers. Animals bring joy to our lives, so it's understandable that we'd want them to be part of our home. Many exotic pet owners, however, are unaware of the suffering their animals endure. Various species of wildlife are ripped from their homes to be sold as pets. Poachers often kill protective otter parents, so they can capture their young before selling them. Parrots destined for pet shops are stolen from the wild and endure immense suffering, such as having their flight feathers chopped off and being crammed into tiny, filthy containers. The majority will die in transit. 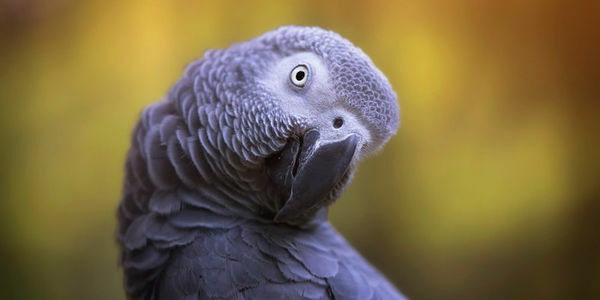 Pet African grey parrots often rip out their own feathers due to stress and boredom. Being trapped in the unnatural environment of a home has serious psychological consequences. Indian star tortoises are sensitive creatures. Handling them can lead them to horrible disease and even death. It's simple: no wild animal can have its needs entirely met when kept as a pet. World Animal Protection encourages everyone to appreciate and respect wild animals where they belong – in the wild. We should only share our homes with domesticated animals who've evolved over thousands of years to be our companions, and whose needs can be completely met as pets. Sign our petition and commit to never buying an exotic pet. You can help us protect wildlife by keeping them where they belong. In the wild.